SYNOPSIS: Fun time capsule movie that tried to cash in on the pinball craze. In between Pretty Baby and The Blue Lagoon an impossibly young Brooke Shields (nicknamed "Tilt") starred as a hotshot pinball wizard in this PG rated rip-off of Paul Newman's The Hustler. She teams up with a traveling singer who wants her to battle it out with the world champ pinball player. Charles During is the Minnesota Fats-ish character with the unfortunate nickname: "The Whale". 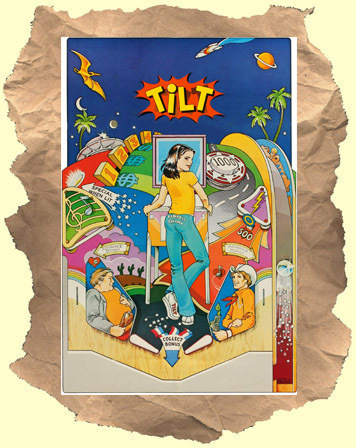 Lots of pinball machine footage, cheesy 70's music and corny humor. Hard to believe that Donald Cammell, the man behind Performance, Demon Seed and White of the Eye actually wrote the script! Innocent, nostalgic fun.